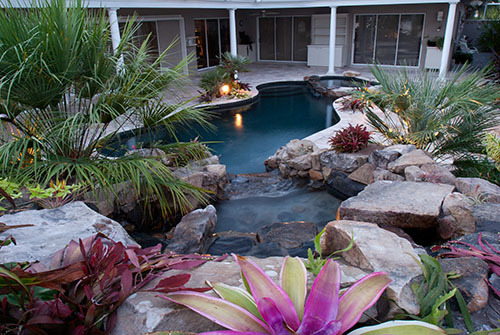 This project is a unique Lucas Lagoons swimming pool remodel with a natural stone waterfall stream that flows into the pool. 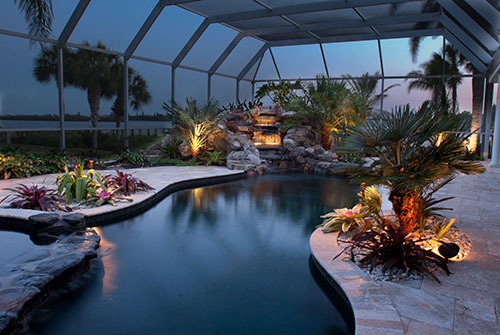 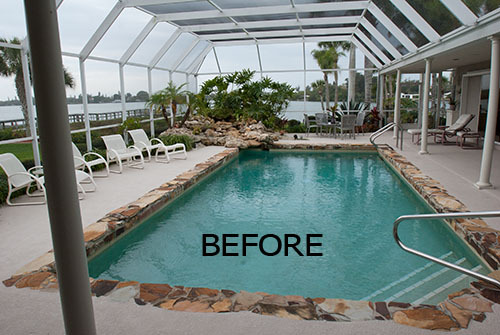 This swimming pool remodel is was a rectangular pool with sharp edges transformed into a swimming pool with curves and a spa addition with its own natural stone waterfall in Osprey, Florida. 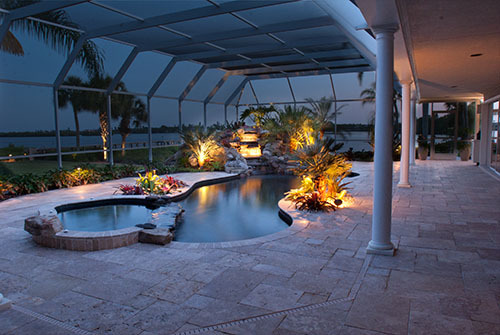 This “Extreme Swimming Pool Remodel from Rectangular to Curvy Pool and Spa with Stone in Osprey, FL” video is part of a Video Series about the progress of our swimming pool construction on this pool remodel with spa addition.